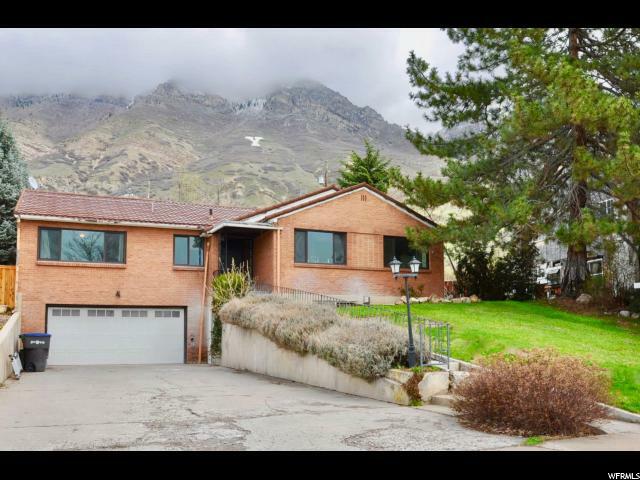 "Great starter home or investment property near BYU. 4 bds., 2 baths. Kitchen and bath have been remodeled- wiring redone in both. Stainless Steel appliances. Newer paint and carpet. Upstairs floor all hardwood except for the travertine tile in the bathroom. 90% efficiency furnace 3 years old and installed for A/C but needs a condenser. Newer double paned windows in most of upstairs. Full blinds upstairs, Wired for Google Fiber by Provo City. Right now it is free. Roof reaching end of life but doesn't leak. Outside storage shed. Fire pit in the back yard. LISTING AGENT AND THE SELLER ARE RELATED. Square footage figures are provided as a courtesy estimate only and were obtained from Utah County Records Online. Buyer's agent and the buyer is advised to obtain an independent measurement." "Outstanding Townhome in Highland Park PUD, Walk to BYU location, Great Investment Property, Can be occupied by singles or marrieds - Three Bedroom & 2.5 bath - Beautiful Hardwood Floors and New Carpeting - New Paint - Vaulted Ceilings, Fan/Lights - Furnished - Great Kitchen with included major appliances - Laundry room with Washer & Dryer - Spacious Master Bedroom with Master Bath - Jacuzzi Tub - Garage - Square Footage figures are provided as a courtesy estimate only and were obtained from county records; buyer is advised to obtain an independent measurement." 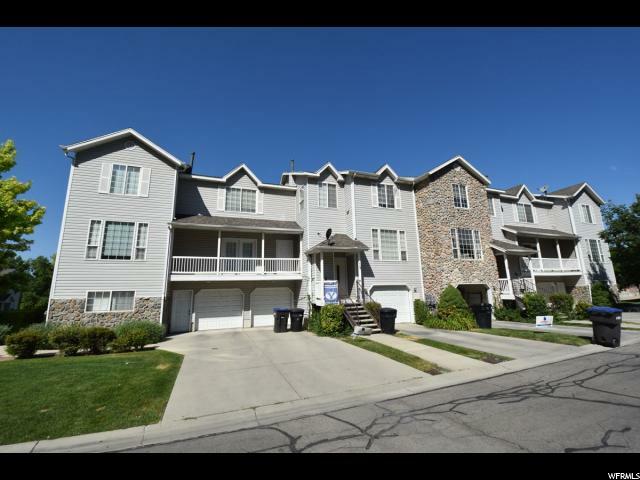 "Spacious & Open Provo Townhouse located in a quiet neighborhood. Close to BYU, 7 Peaks and much more. Large master bedroom and laundry on the main level. 2-car attached garage. Vaulted ceilings and a gas fireplace greet you as you enter this beautiful end unit. The balcony's let you enjoy the sunset or mountain and valley views. Fully finished basement. Great as an owner occupied property or an investment opportunity. Agent reserves the right to make changes to the comments and any details of the home with the exception of the price. Square footage figures are provided as a courtesy estimate only and were obtained from county. Buyer is advised to obtain an independent measurement." "OUTSTANDING BYU area. 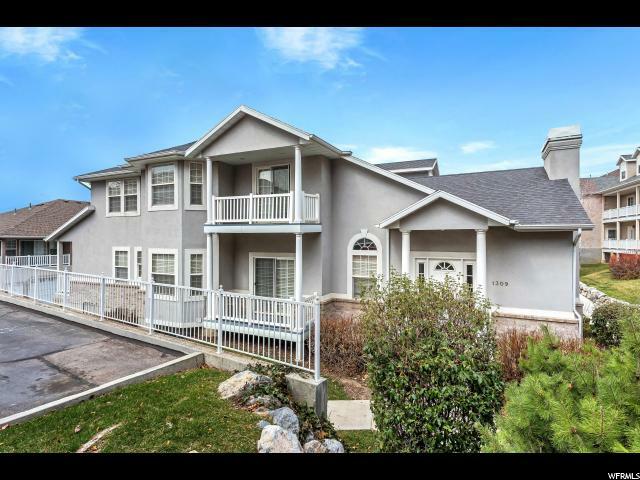 WALK TO BYU and IS right behind Wasatch Elementary. HOME HAS A PARTIALLY FINISHED MOTHER IN LAW APARTMENT Great single family home or can be used as a rental with up to 3 unrelated renters. New basement remodels and updates throughout including polished cement floors. Stairs need to be put into the basement to make the city happy, but we're waiting for the buyer to say where they would like them. There are two possibilities. 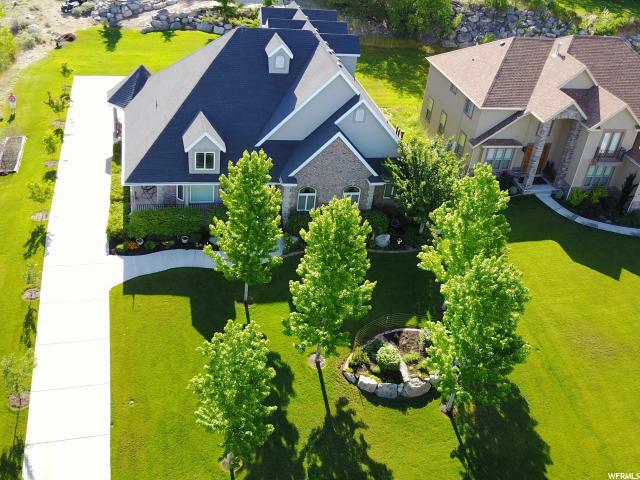 VERIFY ALL ZONING RESTRICTIONS WITH PROVO CITY!!! Square feet as per County. Buyer and Buyer's Broker to verify all information including zoning, square footage and acreage. Agent makes no zoning representations."